PRODUCT: Large Stone Fan Pattern Stamp Tool for Concrete, 46 in. X 26 in. Rigid. Price/Each. 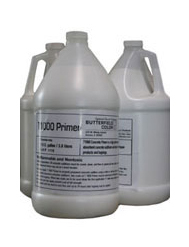 (special order, shipping lead time 2 weeks; aka Butterfield #BST5200-R). 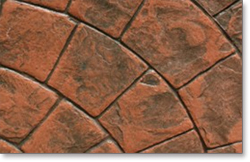 The use of larger stones in this fan pattern simplifies the design. 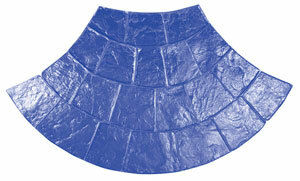 Stamp dimensions: 46" X 26" x .75"
Large Stone Fan Pattern Stamp Tool for Concrete, 46 in. X 26 in. Flexible. Price/Each. (special order, shipping lead time 2 weeks; aka Butterfield #BST5200-FL).